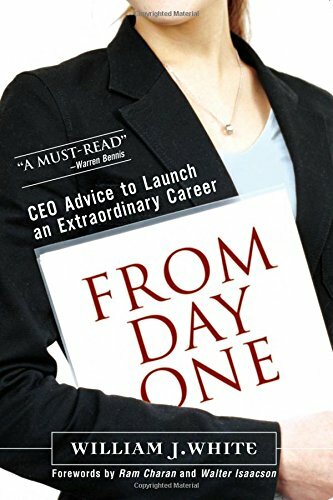 In FROM DAY ONE, long-time CEO Bill White reveals the key skills that lead to breakthrough success, and helps integrate them into your repertoire as you manage your career for outstanding results. Discover how to identify the best possible first job, first company, first boss... and get them. Walk in at 9 am on your first day, knowing exactly what it takes to succeed. Leverage the experience of world-class executives and benefit from practical tips about everything from "managing your boss" to networking; learn how to make a superb first impression; set the best priorities for your first day, week, month; uncover unspoken "local knowledge" about success; make the most of feedback; demonstrate potential without overstepping bounds; strengthen crucial skills, from listening to estimating and forecasting. This is practical, realistic advice straight from the "corner office".